Provide comfort for the family of Donald Bess with a meaningful gesture of sympathy. Donald E. Bess Sr., 84, of Page, WV passed away Sunday December 30, 2018 at Plateau Medical Center surrounded by his loving family and friends after a long illness. He was born on June 3, 1934 to Boyd and Lucy Bess in Ward, WV. Donald was a retired coal miner for Valley Camp Coal Company and he loved sharing stories of his experience running a continuous miner. He was also a wrestler for WOAY and spoke frequently of the good times he had back then. 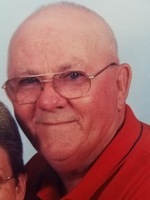 He was a hard worker his entire life and had the sweetest, most gentle soul that loved working alongside his wife Betty planting and tending to flowers. Donald never met a stranger and always treated everyone with a smile. He was blessed the day his grandson Jared’s wife, Kayla introduced Donald to her grandparents, James and Annette Carroll. He came to love them very much. In addition to his parents, Donald was proceeded in death by the love of his life and wife Betty G. Bess (2013), son Donald E. Bess Jr. (2016), daughter Cathy Woods (2018), brothers; Robert, Maxwell, Dee, and Pity Bess as well as his sister Freda. Those left to cherish is memory are daughters Barbara Quinn of Page, Jane Bess of Oak Hill, and Cindy Harvey (Dallas) of Page. He leaves behind grandchildren Jennifer Bess of Cannelton (Rick), Eddie Ford of Ohio, Jeremy Bess of Oak Hill, Ben Bess of Page, Jared Bess (Kayla) of Cabin Creek, Megan Brown of Page and seven great grandchildren. In keeping with Donald’s wishes, his earthly body has been cremated and there will be no visitation or services. Now Donald is in heaven with his wife and family doing what he had longed to do, running the streets of gold. The family would like to thank the first floor staff at Plateau Medical Center for being so loving and caring during this difficult journey. You all were and are a true blessing! 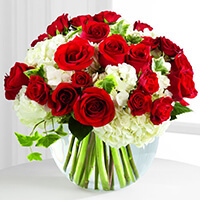 To send flowers in memory of Donald E Bess, please visit our Heartfelt Sympathies Store. Brothers keepers MC, International IIn sent flowers to the family of Donald E Bess. Grew up with Donald at Hugheston WV...we swam in the Kanawha river, went to school together, wrestled with each other and did everything that kids will do...hope to meet him again along the way some place...he will be missed ! Sorry for your loss Cindi, Uncle Donald was a good man, just like Aunt Betty was a good woman. Brothers keepers MC, International IIn purchased the The FTD Our Love Eternal Bouquet for the family of Donald Bess.